In the same year (1925), he also demolished the tombs of holy personages at Jannat al-Mualla (Makkah) where the Holy Prophet (s)’s mother, wife, grandfather and other ancestors are buried. Literally “Al-Baqi” means a tree garden. It is also known as “Jannat Al-Baqi” due to its sanctity, since in it are buried many of our Prophet’s relatives and companions. 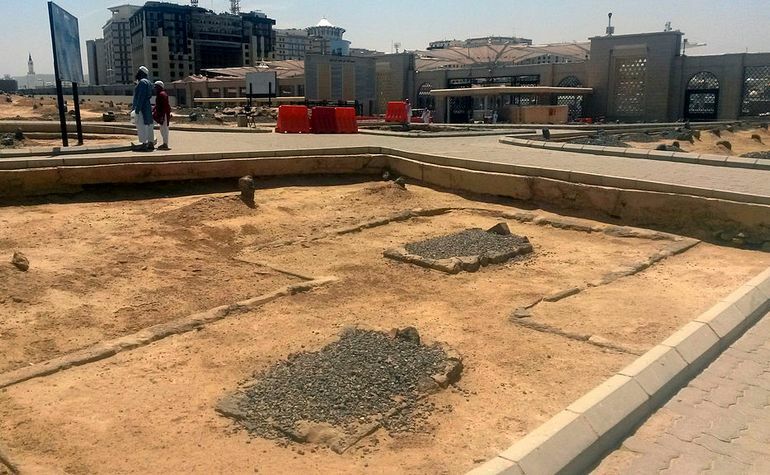 The first companion buried in Al-Baqi was Uthman Ibn Madhoon who died on the 3rd of Sha’ban in the 3rd year of Hijrah. The Prophet (s) ordered certain trees to be felled, and in its midst, he buried his dear companion, placing two stones over the grave. 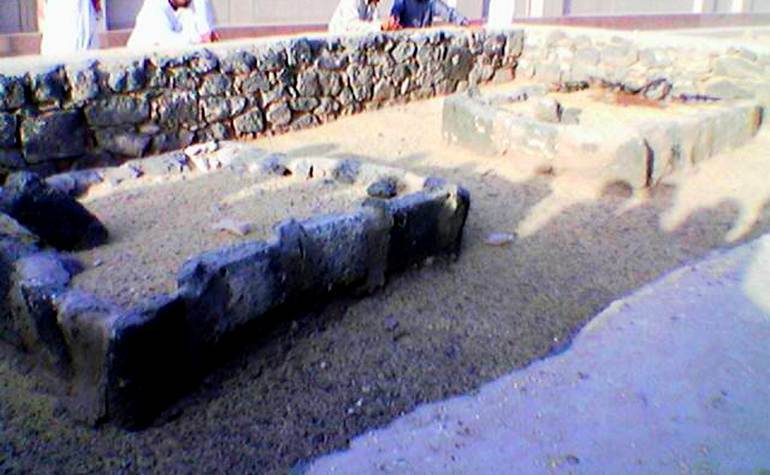 On the following years, the Prophet’s son Ibrahim, who died in infancy and over whom the Prophet (s) wept bitterly, was also buried there. 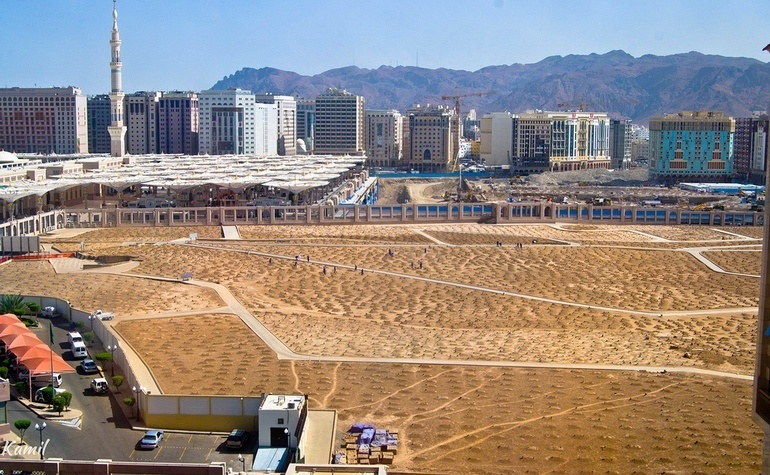 The people of Madina then began to use that site for the burial of their own dead, because the Prophet (s) used to greet those who were buried in Al-Baqi by saying, “Peace be upon you, O abode of the faithful! God willing, we should soon join you. O’ Allah, forgive the fellows of al-Baqi”. 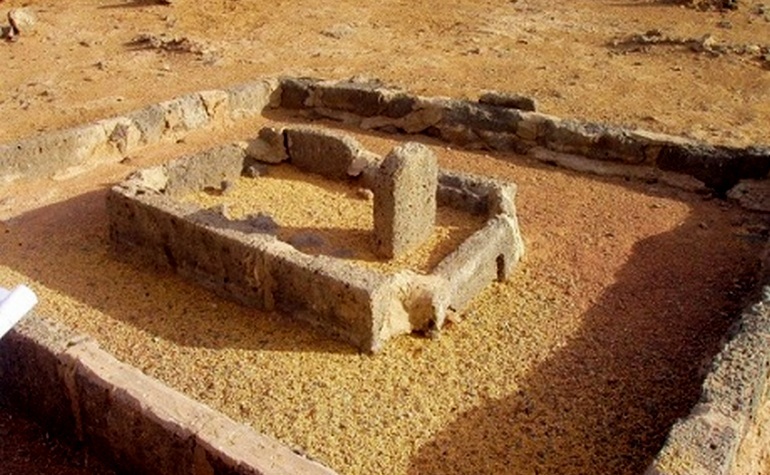 The site of the burial ground at al-Baqi was gradually extended. Nearly seven thousand companions of the Holy Prophet (s) were buried there, not to mention those of the Ahlul Bayt (a). Imam Hasan Ibn Ali (a), Imam Ali Ibn Al-Husayn (a), Imam Muhammad Al-Baqir (a), and Imam Ja’far Al-Sadiq (a) were all buried there. 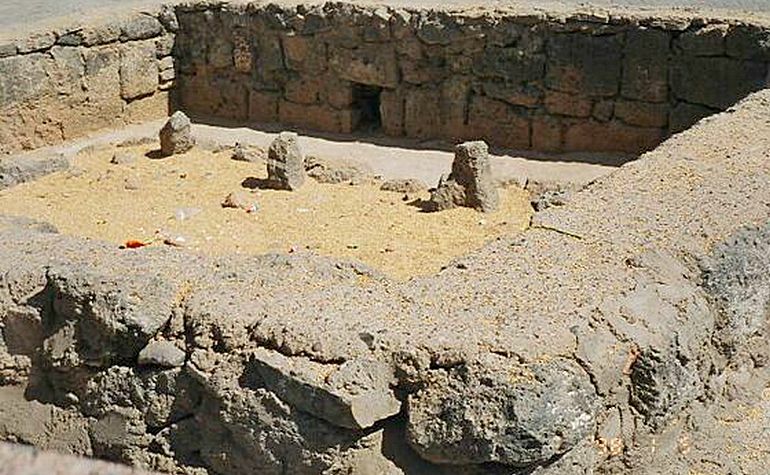 Among other relatives of the Prophet (s) who were buried at al-Baqi are: his aunts Safiya and Aatika, and his aunt Fatima Bint Al-Asad, the mother of Imam Ali (a). 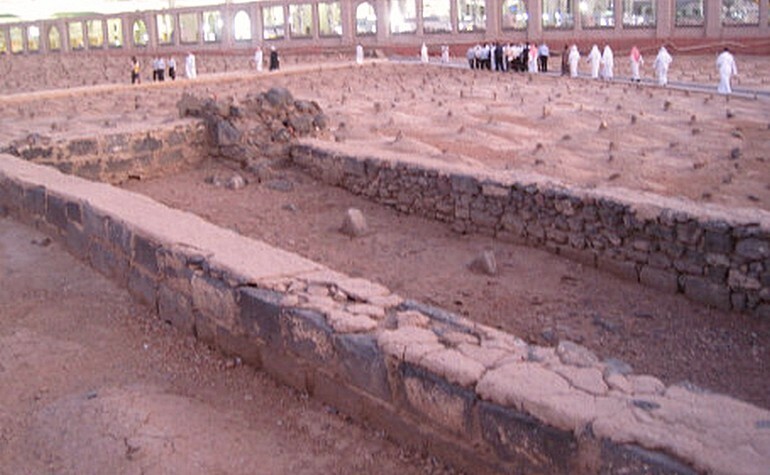 The third caliph Uthman was buried outside al-Baqi, but with later extensions, his grave was included in the area. In later years, great Muslim scholars like Malik Ibn Anas and many others, were buried there too. Thus, did al-Baqi become a well-known place of great historic significance to all Muslims. Umar Ibn Jubair describes Al-Baqi as he saw it during his travel to Madina, saying “Al-Baqi is situated to the east of Madina. You enter it through the gate known as the gate of al-Baqi. As you enter, the first grave you see on your left is that of Safiya, the Prophet’s aunt, and further still is the grave of Malik bin Anas, the Imam of Madina. On his grave is raised a small dome. In front of it is the grave of Ibrahim son of our Prophet (s) with a white dome over it, and next to it on the right is the grave of Abdul-Rahman son of Umar bin Al-Khattab, popularly known as Abu Shahma, whose father had kept punishing him till death overtook him. Facing it are the graves of Aqeel bin Abi Talib and Abdullah bin Ja’far Al-Tayyar. There, facing those graves is a small shrine containing the graves of the Prophet’s wives, following by a shrine of Abbas bin Abdul Muttalib. In 1221, the Wahhabis entered Madina to desecrate al-Baqi as well as every mosque they came across. An attempt was even made to demolish the Prophet’s tomb, but for one reason or another, the idea was abandoned. In subsequent years, Muslims from Iraq, Syria, and Egypt were refused entry into Makkah for Hajj. King Al-Saud set a precondition that those who wished to perform the pilgrimage would have to accept Wahhabism or else be branded as non-Muslims, becoming ineligible for entry into the Haram. Thousands of Muslims fled Makkah and Madina in a bid to save their lives and escape from the mounting pressure and persecution at the hands of the Wahhabis. Muslims from all over the world denounced this Saudi savagery and exhorted the Caliphate of the Ottoman Empire to save the sacred shrines from total destruction. 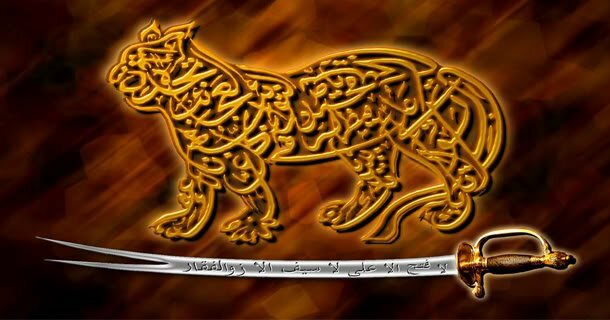 Then, as it is known, Muhammad Ali Basha attacked Hijaz and, with the support of local tribes, managed to restore law and order in Madina and Makkah, dislodging the Al-Saud clansmen. 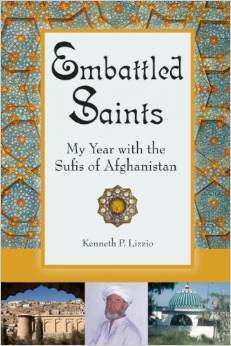 The entire Muslim world celebrated this victory with great fanfare and rejoicing. In Cairo, the celebrations continued for five days. No doubt, the joy was due to the fact that pilgrims were once more allowed freely to go for Hajj, and the sacred shrines were once again restored. 1. The destruction and desecration of the holy places i.e. 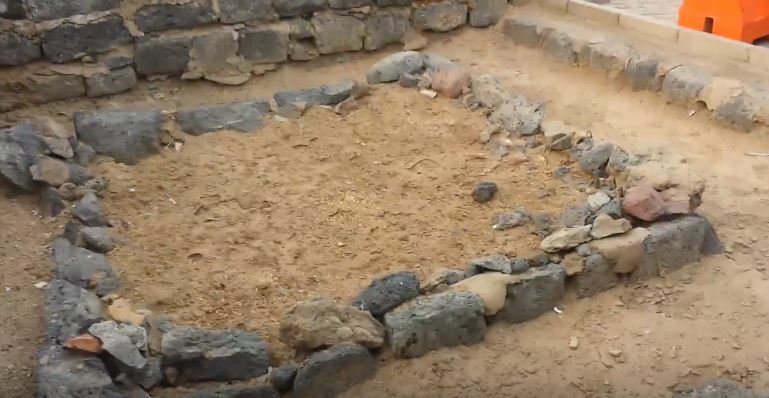 the birth place of the Holy Prophet [s], the graves of Banu Hashim in Makkah and in Jannat al-Baqi (Madinah), the refusal of the Wahhabis to allow Muslims to recite Ziyarah or Surah Al-Fatiha at those graves. 2. The destruction of the places of worship i.e. Masjid Hamza, Masjid Abu Rasheed, in addition to the tombs of Imams and Sahaba (Prophet’s companions). 3. Interference in the performance of Hajj rituals. 4. Forcing the Muslims to follow the Wahhabis innovations and to abandon their own ways according to the guidance of the Imams they follow. 5. The massacre of Sayyids in Taif, Madina, Ahsa, and Qatif. 6. 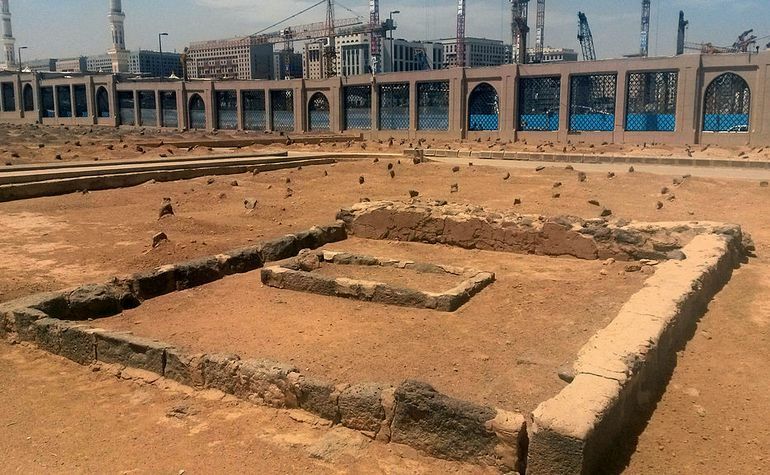 The demolition of the grave of the Imams at al-Baqi which deeply offended and grieved all Shias. Similar protests were lodged by Muslims in Iran, Iraq, Egypt, Indonesia, and Turkey. All of them condemn the Saudi Wahhabis for their barbaric acts. Some scholars wrote tracts and books to tell the world the fact that what was happening in Hijaz was actually a conspiracy plotted by the Jews against Islam, under the guise of Tawheed. The idea was to eradicate the Islamic legacy and heritage and to systematically remove all its vestiges so that in the days to come, Muslims will have no affiliation with their religious history. 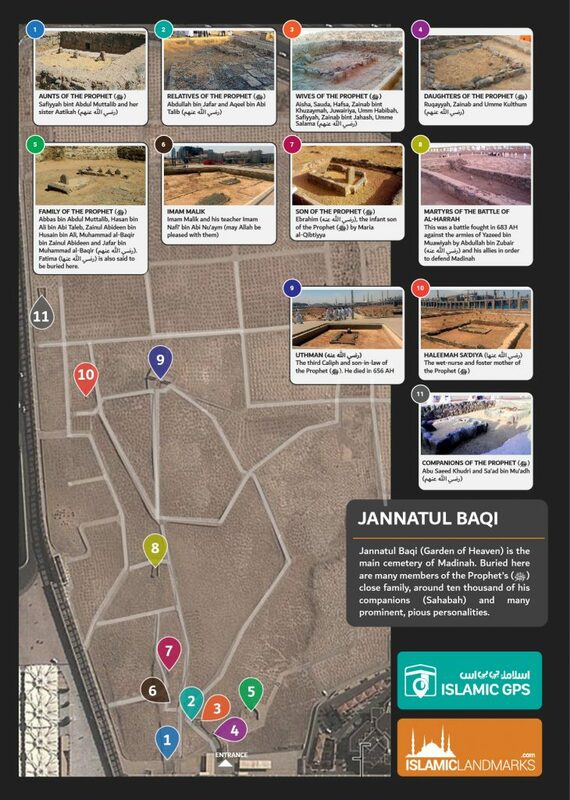 Jannatul Baqi (Garden of Heaven) is the main cemetery of Madinah. Buried here are many members of the Prophet’s (ﷺ) close family, around ten thousand of his companions (Sahabah) and many prominent, pious personalities. Baqi means the land in which the roots of different trees are embedded, Gharqad is the name of a thorny tree (Boxthorn) which were abundant in Baqi. Hence the cemetery also came to be known as Baqi al-Gharqad. 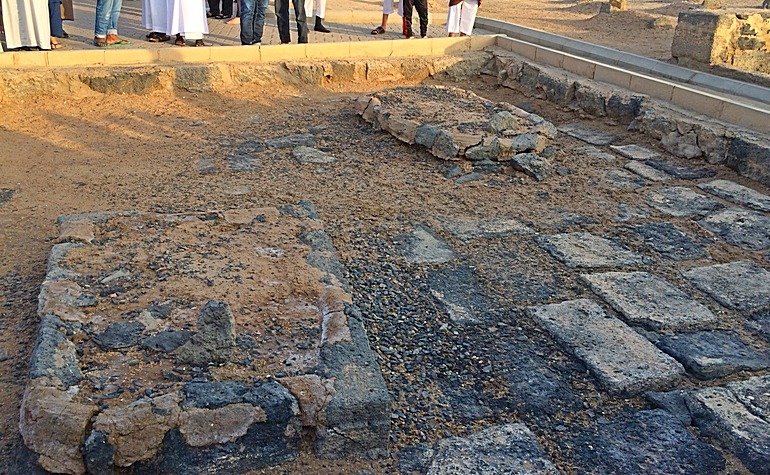 The first person to be buried in al-Baqi was As’ad Bin Zararah (may Allah be pleased with him), an Ansari companion who died soon after the Prophet ‘s (ﷺ) migration to Madinah. 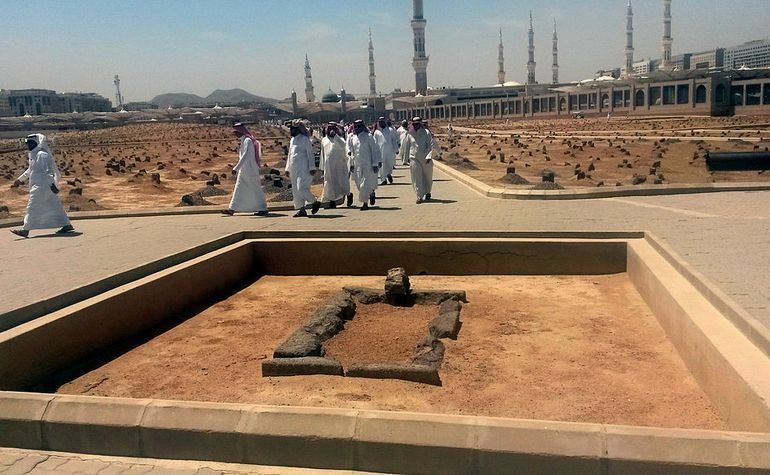 The Prophet (ﷺ) chose the spot to be a cemetery. The first of the Muhajirun (Emigrants) to be buried there was Uthman bin Mazoun (may Allah be pleased with him) who died shortly after the Prophet (ﷺ) returned from the battle of Badr. The wives of the Prophet (ﷺ), also known as the Mothers of the Believers. They are Aisha bint Abu Bakr, Sauda bint Zamaa, Hafsa bint Umar, Zainab bint Khuzaymah, Juwairiya bint Harith, Umm Habibah bint Abu Sufyan, Safiyyah bint Hayy al Akhtab, Zainab bint Jahash, Umme Salamah bint Abu Umama (may Allah be pleased with them). 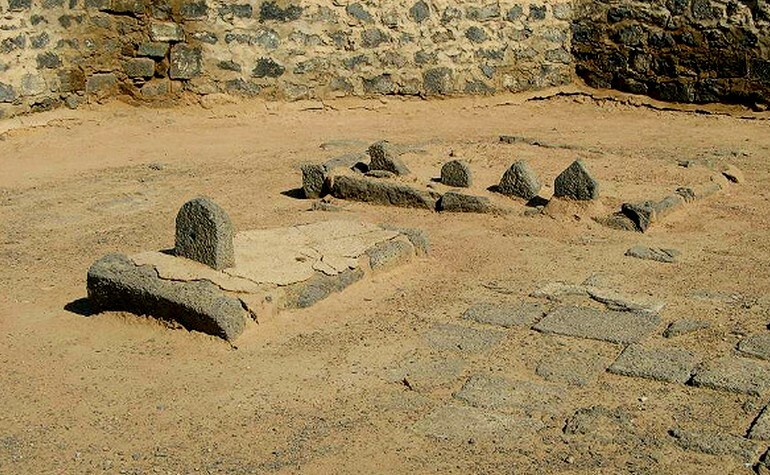 The two wives that are not buried here are Khadijah bint Khuwaylid (may Allah be pleased with her) who is buried in Makkah and Maymuna bint al-Harith (may Allah be pleased with her) who is buried in Sarif. 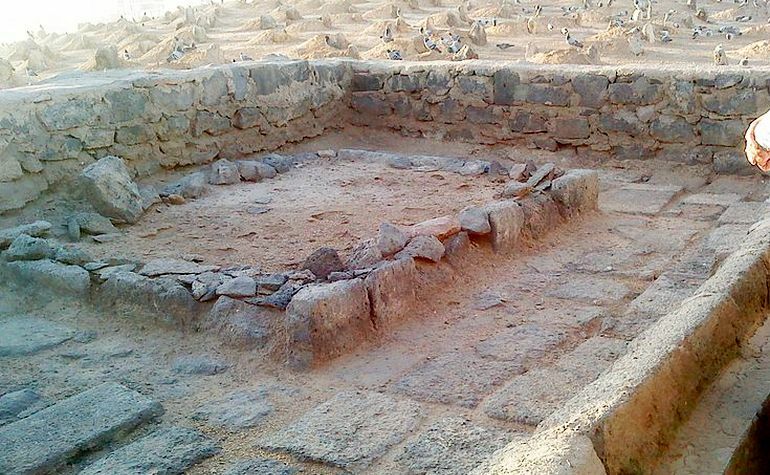 Other close family members of the Prophet (ﷺ) buried in Jannatul Baqi include his uncle Abbas bin Abdul Muttalib, Hasan bin Ali bin Abi Taleb, Zainul Abideen bin Husain bin Ali, Muhammad al-Baqir bin Zainul Abideen and Jafar bin Muhammad al-Baqir (may Allah be pleased with them). They are buried close together along with Fatima (may Allah be pleased with her). The martyrs of the Battle of Harrah. This was a battle fought in 683 AH against the armies of Yazeed bin Muawiyah by the army of Abdullah bin Zubair (may Allah be pleased with him) and his allies in order to defend Madinah. This battle happened after the demise of the Prophet (ﷺ). Uthman (may Allah be pleased with him), the third Caliph and son-in-law of the Prophet (ﷺ). He died in 656 AH. It is virtuous to visit Jannatul Baqi (preferably on a Friday) and supplicate to Allah (ﷻ) for all those buried in its noble earth.